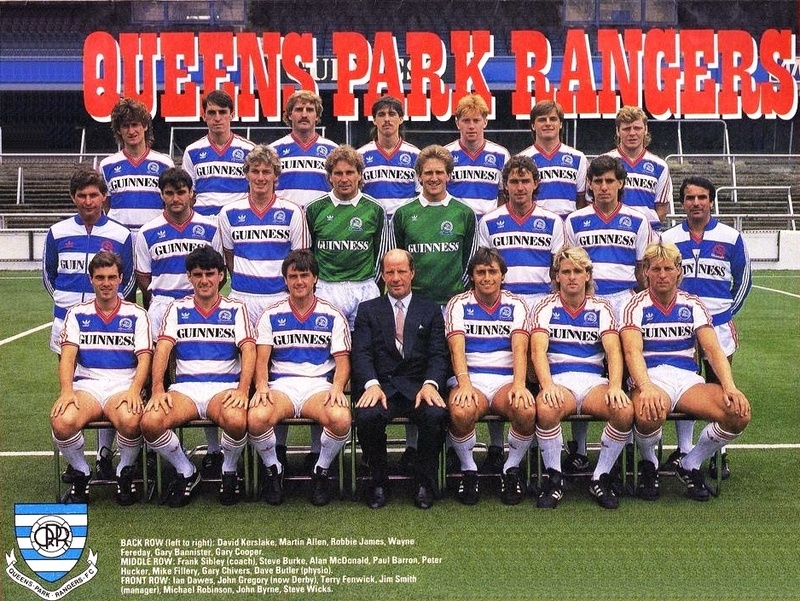 Perhaps the best QPR kit ever. 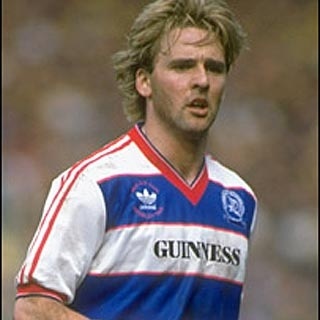 The new design was more vivid than the previous version - red stripes down the shoulders really made it stand out. 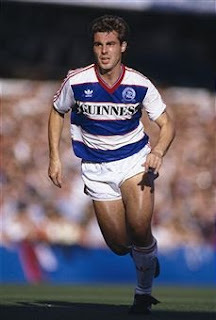 Sadly the kit is also associated with failure, as worn for the Milk Cup Final. 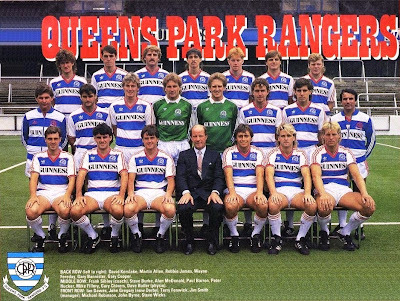 The shirt had 'QPR Milk Cup Finalists 1986' embroidered around the Adidas logo - a rare acknowledgement on shirts back then. Also, whenever on live TV, the Guinness lettering had to be reduced in size due to advertising restrictions. 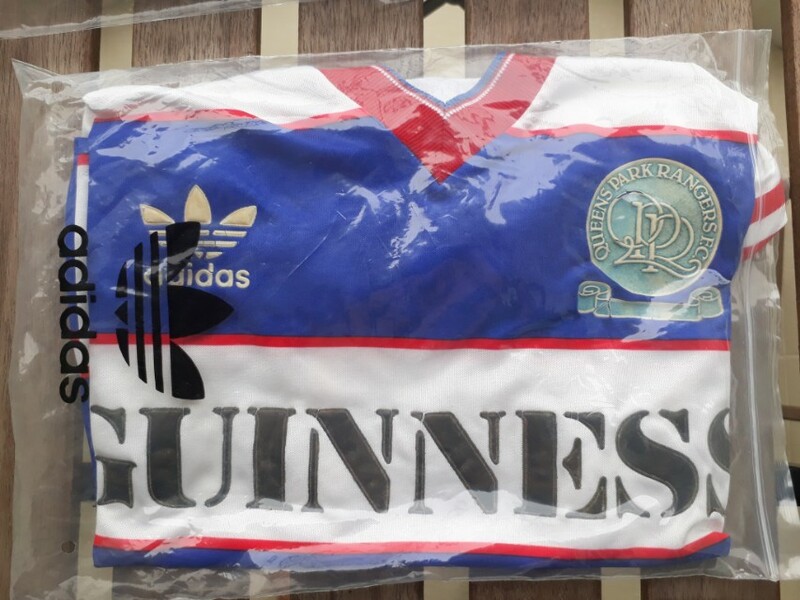 Gary Bannister's 'spare' shirt for the final sold for £350 in February 2015. An original bagged replica with the badge having a pale blue background rather than white. 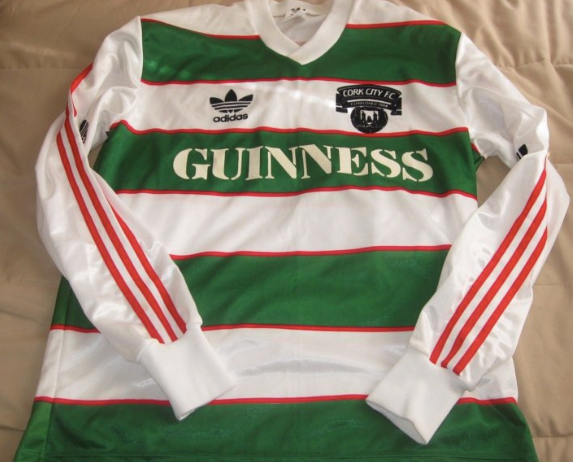 Cork City's home shirt from the same season.